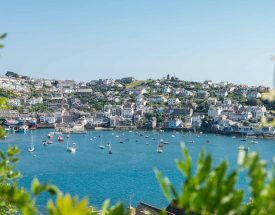 The beautiful coastline of England’s southwest peninsula is an area brimming with stunning coastal walks, amazing landscapes, captivating seas – and some of the UK’s most dramatic scenery. 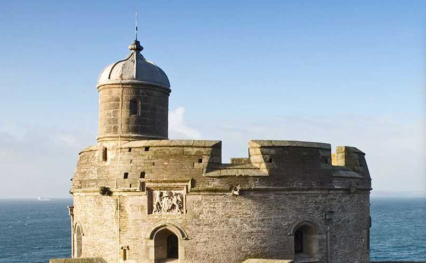 Discover it all on England’s longest National Trail. 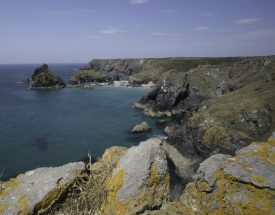 Explore the South West Coast Path for three days, a week or even longer. Find inspiration for your walking adventure using our suggested itineraries, or select one of our bookable itineraries which are highlighted with a star. 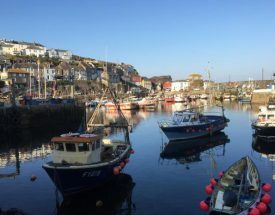 Accompanied by an experienced guide, enjoy an 8-day hike from the city of Plymouth to Brixham, on the ‘English Riviera’. 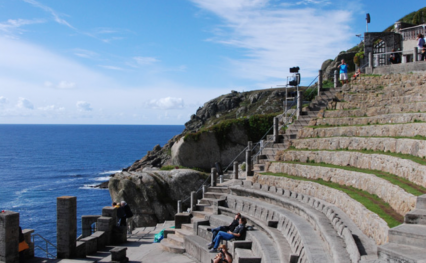 Enjoy a spectacular 8-day guided walk from Cape Cornwall, rounding the cliffs of Land’s End and finishing at Helford. 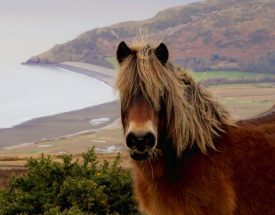 An 8-day guided walk from magnificent Minehead and the Exmoor National Park to the wild cliffs of North Devon. 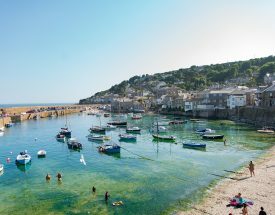 This 7-day itinerary starts in Lyme Regis and includes some of England's most iconic natural wonders, such as Durdle Door. 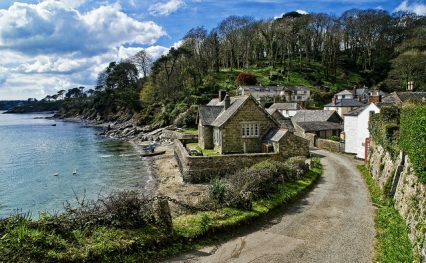 Follow in the footsteps of smugglers with 5 days of world-class walking along the stunning Cornish coastline. 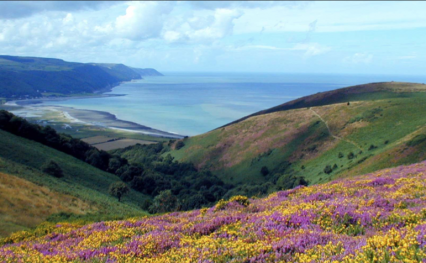 Take in the entire coastline of the Exmoor National Park over 6 days, with breathtaking views across the Bristol Channel. 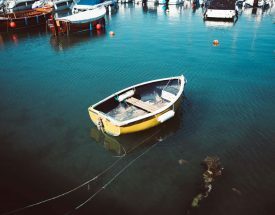 Discover the true beauty of East Devon and Dorset with an unforgettable 9-day trip to the world-famous Jurassic Coast. 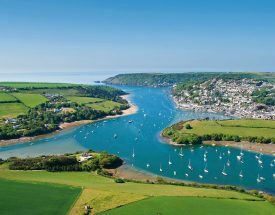 Explore delightful South Devon coastline, steeped in maritime history, on a 5-day journey from Plymouth to Dartmouth. 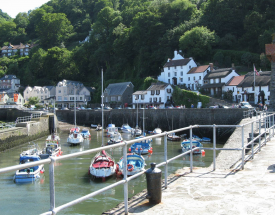 Take in the wild, dramatic coastline of the Exmoor National Park on a 3-day hike from Minehead to Combe Martin. A challenging 4-day walk from the historic fishing village of Clovelly to the amazing castle ruins of Tintagel. You will now be redirected to our booking partner who welcomes walkers of England's National Trails, where you can find out more information about the itinerary that you are interested in and make an enquiry or a booking. Our booking partners are UK operators and so their websites will be in English; however, they may be able to speak with you in another language, should you require it. Please enquire with them directly about this. From this point in your enquiry any personal data that you give to our booking partner will be their responsibility to keep safe and use properly. We hope www.greatenglishtrails.com has helped to bring you closer to one of England's Great Walking Trails.You can also keep updated by visiting our Facebook page. 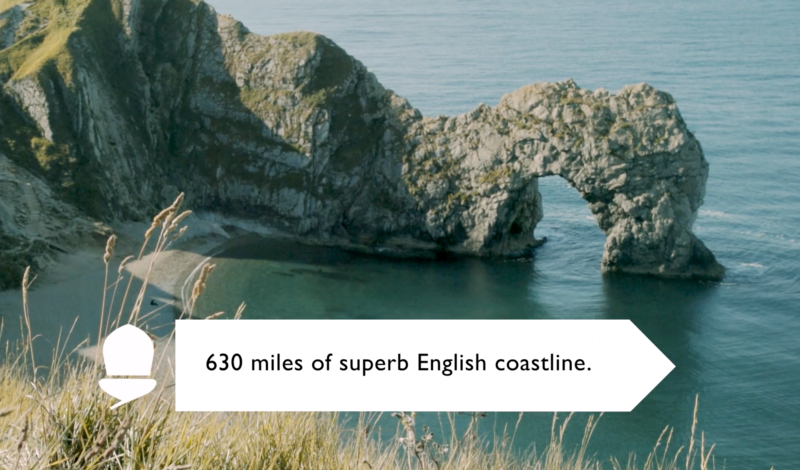 Find useful facts and learn more about the South West Coast Path below. Select the blue tabs below for more details. What is special about the Trail? 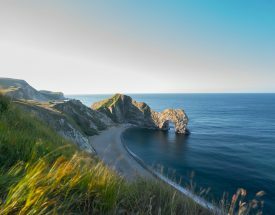 The longest of England’s National Trails, the multi award-winning South West Coast Path offers 630 miles (1,014 km) of stunning coastal walking around the entire South West peninsula. Starting at Minehead in Somerset it runs along the coastline of Exmoor, continuing along the coast of North Devon into Cornwall. 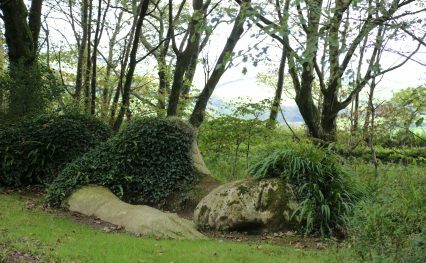 It follows the entire coastline of Cornwall, goes across the mouth of the River Tamar and continues into Devon. After running along the south coast of Devon it then follows the Dorset coastline before finally ending at Poole Harbour. 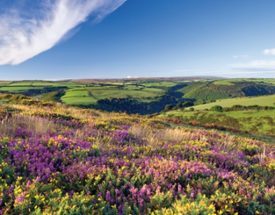 With dramatic coastal scenery and breath-taking views of surrounding countryside and moorland, the Path offers something for everyone – whether you’re an experienced trekker looking for a huge challenge, a relaxed rambler wanting scenic strolls, a young backpacker embarking on an adventure or a family keen to explore the great outdoors. 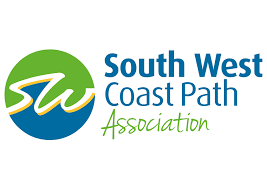 Designated a National Trail in 1978, the South West Coast Path is a world-class destination and the South West Coast Path Association, a registered charity, helps care for the Path and support the interests of its users. The South West Coast Path offers the ultimate challenge for the long-distance walker and the route has over 115,000 feet of ascent and descent – the equivalent of scaling Mount Everest four times! But you don’t have to walk it all at once and the various segments are enjoyed by millions of visitors each year. The Path is usually walked in an anti-clockwise direction, from Minehead to Poole, but it is well signed in both directions. Depending on when you visit, each season will bring something different: in spring you’ll seem lambs in the fields; in late summer, the north coast blooms with heather and gorse; autumn is a prime time to see migrating birds; and in winter, there’s nothing like watching stormy waves pound the cliffs. The South West Coast Path is England’s longest waymarked footpath. The heritage, wildlife, geology and scenery along the way are truly inspirational and each step brings new experiences. 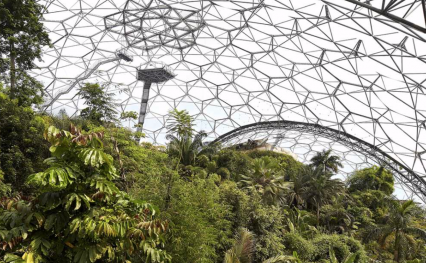 More than 70% of the Path is in either a National Park or an Area of Outstanding Natural Beauty and you’ll also pass through two World Heritage Sites, a UNESCO Biosphere and a UNESCO Geopark. 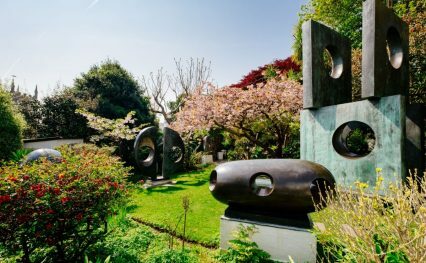 Highlights include the dramatic scenery of Poldark country in Cornwall (where the hit BBC TV show was filmed), the Jurassic Coast in Dorset (with its 185 million years of history) and England’s highest sea cliff, Great Hangman, in Devon. Lonely Planet listed the South West Coast Path as one of the World’s Greatest Walks in 2009 and it was also the only UK walk to feature in their 2012 Book of Great Adventures. The Path has been voted Britain’s Best Walk twice by the readers of Walk magazine. It was listed by CNN Travel Guide as one of the world’s most awe-inspiring long-distance walks and in June 2017, it topped a National Express survey of favourite walking routes. More recently, the South West Coast Path has been included in National Geographic’s 100 Hikes of a Lifetime. You can reach the South West Coast Path by Ferry from Plymouth (on the Path) and Poole, five miles (8km) from the Poole Harbour end of the Path. Both of these ports are served by Brittany Ferries. It’s possible to access the South West Coast Path via Exeter Airport, located 11 miles (18km) from the Path in South and East Devon. There are good bus links from the airport to Exeter city and then bus or train links to many places on the Path. Newquay Airport is located just 1 mile from the Path in North Cornwall. 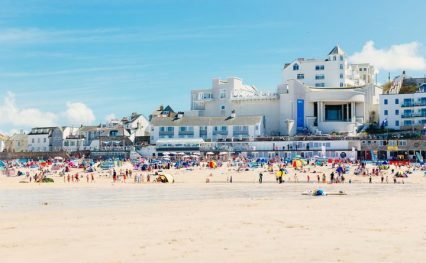 Catch the bus or walk into Newquay, from where you can get buses or trains to towns further along the coast in each direction. You can also fly to Bournemouth Airport for easy access to the Dorset section of the Path, and Bristol Airport is a good place to fly to if you’re looking to walk any of the Somerset or North Devon stretch. he South West Coast Path is easily accessed by train. The world-famous Great Western Railway, built by Isambard Kingdom Brunel, stretches down to Penzance, and branch lines head off to many of the resorts along the Path. To get to the Minehead end of the Path, catch a train to Taunton (about 2 hours from London), and then a bus or bus and steam train to Minehead (about 1¼ hours). To reach the Poole Harbour end of the Path, catch a train to Bournemouth (about 1¾ hours from London), and then two buses to South Haven Point via Sandbanks ferry (about 1 hour). Barnstaple, Newquay, Hayle, St Ives, Penzance, Falmouth, Par, Looe, Plymouth, Paignton, Dawlish, Exmouth, Weymouth and Swanage are towns along the Path with a rail service. For detailed rail information please see www.nationalrail.co.uk or www.thetrainline.com. Regular buses run along most of the coast many of the towns along the Trail are served by long distance National Express coaches. You can find up-to-date information on bus services at www.traveline.info. The south-west is well served by major trunk roads (M5, A303, A30) and most of the gateway start and finish points along the South West Coast Path are served by a network of A and B roads. 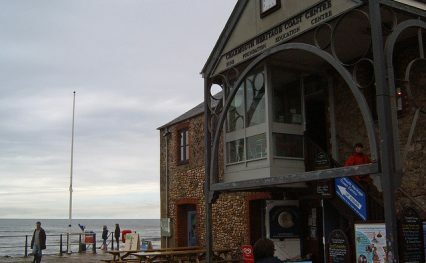 Car parks are available at all coastal towns along the route. At more remote locations, you will find informal car parks, normally managed by landowners or Parish Councils. If you are planning to walk for two days or more, you will need to arrange longer-term car parking. 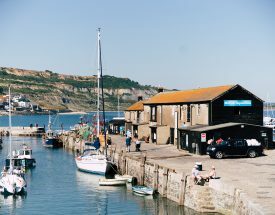 The Annual guide produced by the South West Coast Path Association (free to members) has details of those places that can offer long-term parking. This National Trail passes through the very best landscapes – places you may want to explore for several days at a time. From cosy country inns to characterful cottages, we’ve got your accommodation near the South West Coast Path covered. You can find accommodation along the trail by using our interactive map. Feeling inspired? Build a bespoke itinerary and start planning your visit to one of England’s great walking trails here.